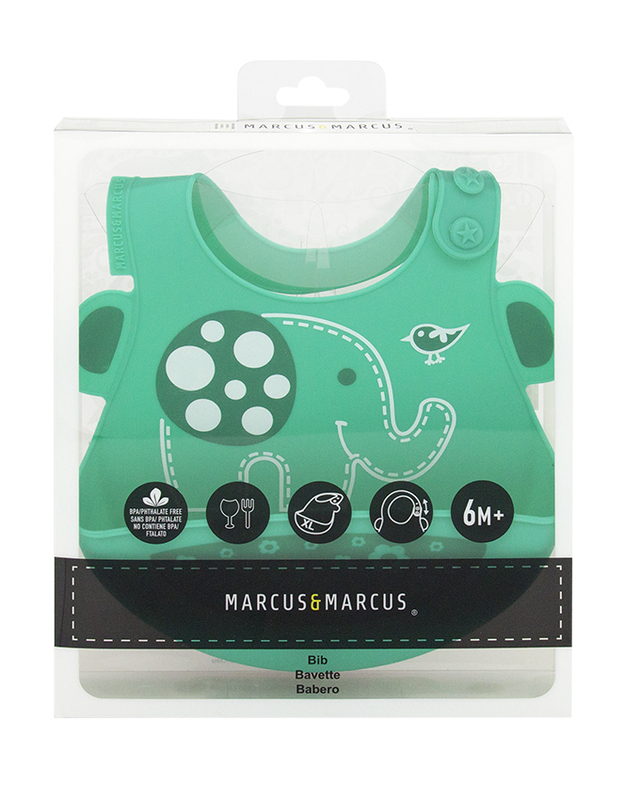 These incredibly soft and stain resistant silicone bibs make mealtime a breeze! 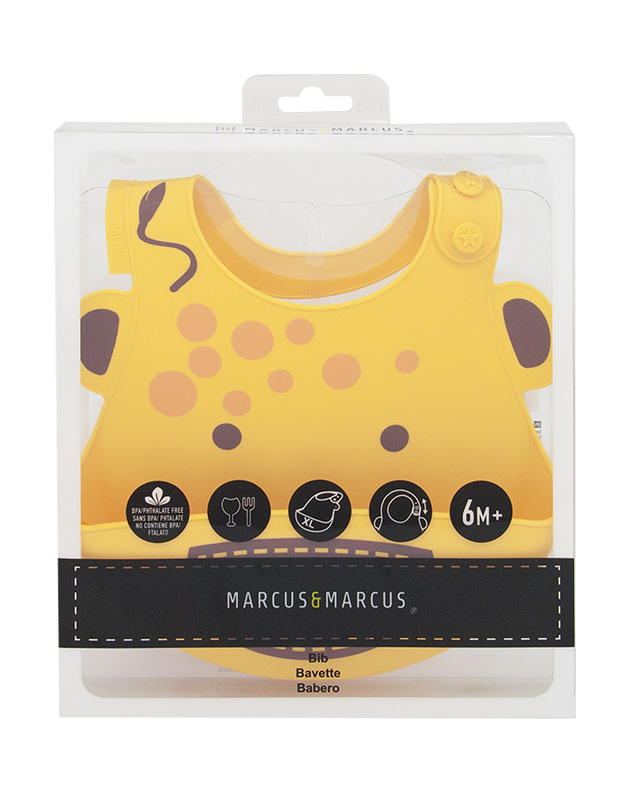 The built-in crumb catcher makes sure your baby’s clothes stay clean while the adjustable neck strap makes it simple to take on and off. 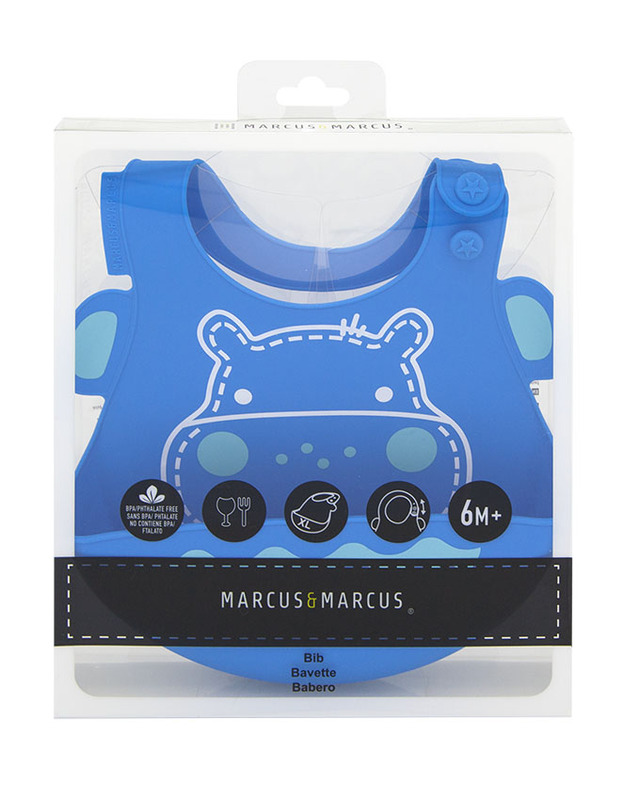 The extra soft silicone ensures a very comfortable fit around baby's neck - perfect for delicate skin. Clean in the top-rack of the dishwasher or simply hand wash. Wash before initial use an dafter each use. Stains can be removed by washing with hot-soapy water. 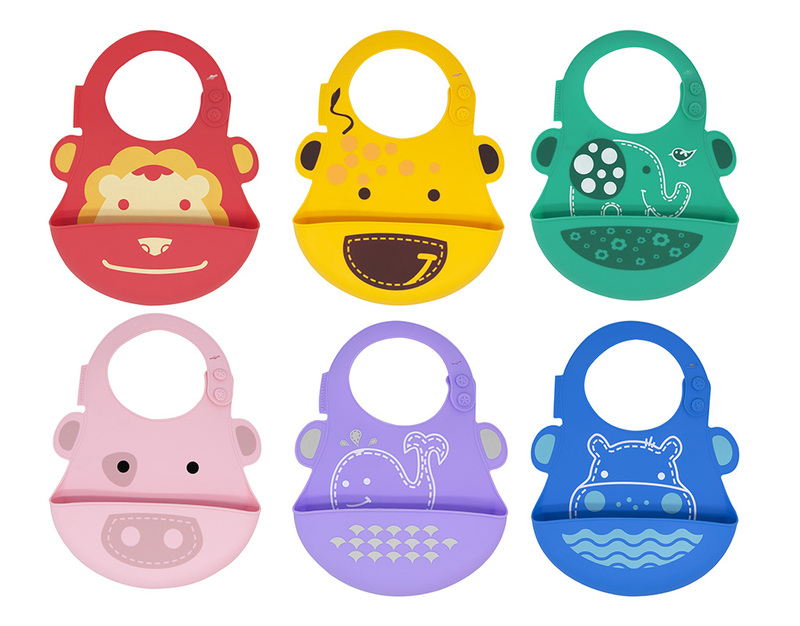 Store product in a dry place. Do not leave products in direct sunlight or near a source of heat. 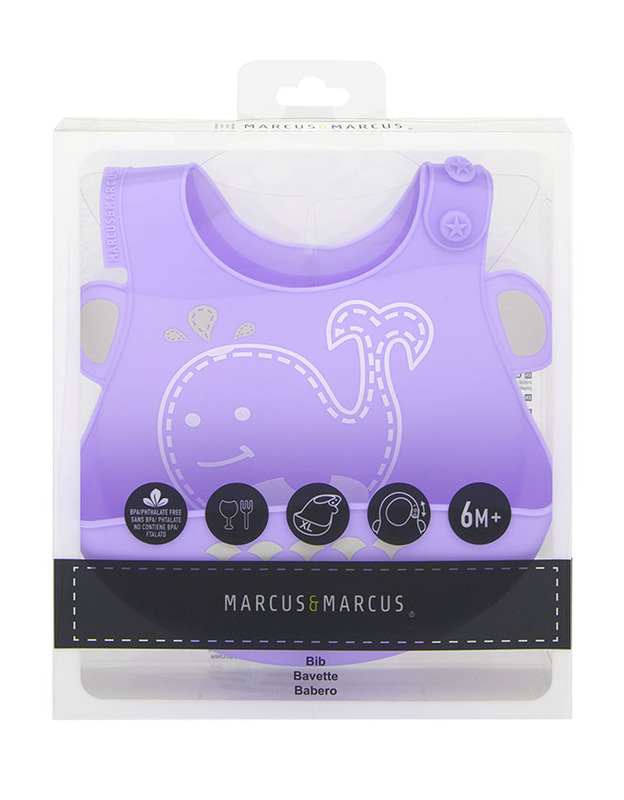 Made especially for baby's neck, our silicone is super soft - gently unbutton and button using two hands to prevent damage. Do not pull off. 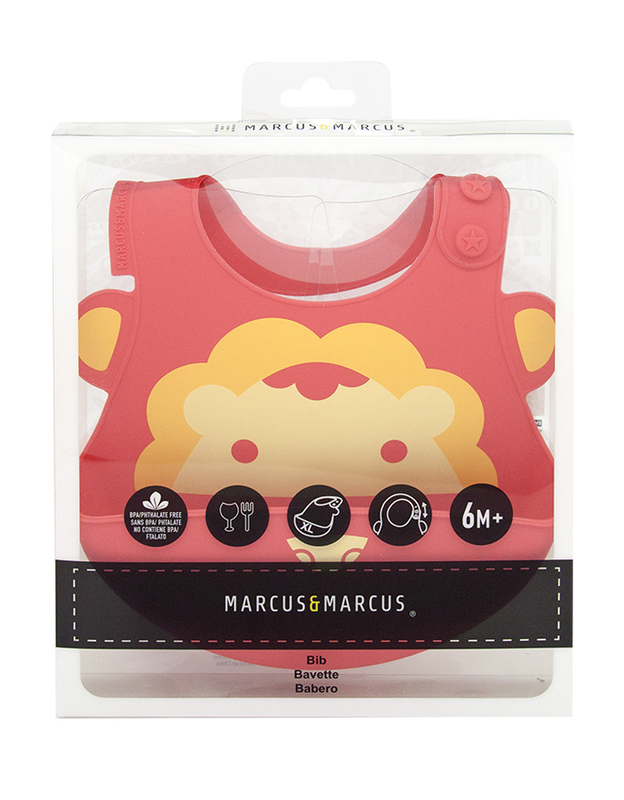 Notify me when Marcus the Lion - Red Silicone Baby Bib is available.